I’d like to introduce the readers of the blog to 4TheKingdomApps, a father and son team who have developed a couple of apps for learning. Kevin Scritchfield is a veteran high school math teacher and his son Tad is a high school student. They have each created a game style app to help students improve memory and practice skills. 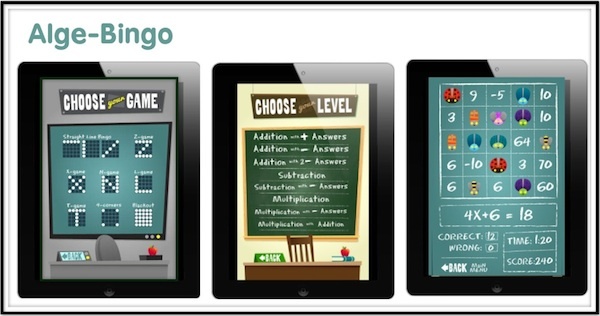 Alge-Bingo, created by Kevin Scritchfield, won the 2012 National STEM Challenge in the High School Educator Division. 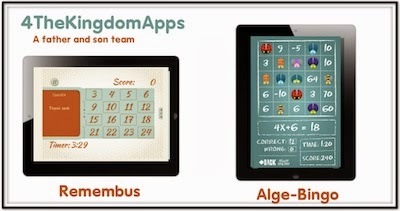 Named appropriately, it is a game that helps students master algebra while playing Bingo. The game grows with students as they make progress, offering them more challenges and requiring them to develop mental math skills that are faster and more automatic. Users have the ability to self-select their entry level and also the difficulty of the bingo game itself, making this game fun, flexible and leveled. The game can be addictive as students gain confidence and build skills. Students who are trying to improve their skills should try this game. Watch this video created by Kevin to learn more about Alge-Bingo. Remembus is an app created by Tad Scritchfield, a high school student. 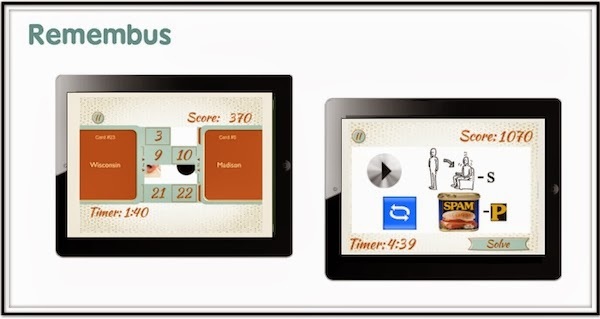 This app combines a Concentration memory game with a rebus puzzle. Here is how Remembus works. Players select can one of four subject areas to reveal a Concentration type game board. Players begin by selecting a number on the game board which reveals a question or an answer. Players must remember where the questions and answers are located on the board while testing their knowledge of the content to find a match. Once a match is found, the cards disappear to reveal part of a rebus puzzle. When all of the matches are found, players are rewarded and challenged to solve the rebus puzzle. Both of these apps are available for $.99 in the iTunes store. Click on the ad in the sidebar of this blog to jump directly to the iTunes preview of each of these apps. Follow @Remembus and @kscritch to keep up with more from this father and son team, 4TheKingdomApps. What is the name of this application and where can I download it? Is it like 12BET online bingo number game? 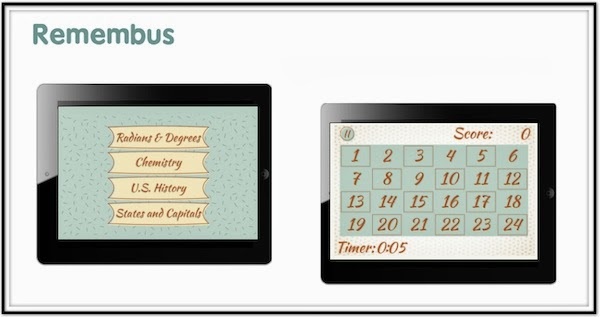 Alge-Bingo and Remembus are both available from the iTunes store. Click on the names of the Apps in the post and follow the links.